Gary Barden was in the 80s one of my fave singers and was one of THE voices of British hard rock. The first time Barden appeared in the scene was as part of the newly formed MSG (Michael Schenker Group) founded by the former Scorps guitarist of the same name. Their first collaboration resulted in the highly acclaimed album “The Michael Schenker Group” which was released in 1980. 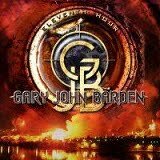 Besides the great songs and the great guitar output BARDEN’s voice was one of the reasons why this album became a huge success and allowed the band to hit the road in Europe, Japan and the USA. Their second album “MSG” saw the light of day in 1981 and followed an even more melodic direction than its predecessor. After the following world tour BARDEN was informed that he was no longer part of the band and replacement was found soon in ex-RAINBOW singer Graham Bonnet. Cue for the Sounds letters page to be inundated for months ober an infamous Bonnet Sheffield gig that has passed into legend. Chrysalis, however, released a live disc recorded in Japan by the original MSG entitled “One Night At Budokan”. Searching for a new band, Barden started to write some songs with the late Lizzy guitarist Gary Moore which later on ended up on Moore’s “Corridor of Power” release. Their working period was short and so was the collaboration between Bonnet and Schenker (see above ref to Sounds). Bonnet sang on the 1982 record “Assault Attack” but Barden was back with MSG for some live appearances including Reading Festival in the same year and the 1983 (poorly received) record “Built to Destroy”. The label’s pressure to steer more into a commercial direction made the band quit business in 1984. After a long break Barden returned to the scene with Praying Mantis’ “The Power of Ten” and the live album “Captured Alive in Tokyo City”. In 2000, Barden hit the road again for a couple of live shows with Company Of Snakes and founded the band Silver together with Michael Voss (CASANOVA) and Bernie Tormé (IAN GILLAN). ‘Past & Present’ marked the first solo album by Barden and included new interpretations of some all-time MSG classics. With his long time pal ´Michael Voss´(Casanova, Bonfire) and a couple of friends he went back to the roots to perform his bluesy smoky songs on the release “Agony and the Xtasy”. In 2007 the more rockier “Love and War” was released. Gary now presents us with “Eleventh Hour”. Once again Michael Voss is ever present and the end result is pretty average to say the least. ‘Baghdad’ opens up proceedings well enough on this up tempo rocker. Even at 56 his voice hasn’t changed a great deal from the MSG days I remember so well. Its weaker, but then again Barden never had the greatest voice, but he has a pretty unique tone to it. Similar can be said of ‘Fallen By The Wayside’. After this the producer (Voss) has inadvertently hit the ‘average’ button on the console. Songs like ‘Child Of Sorrow’, ‘Would You Wanna Do’, ‘We Are The Dead’ are pretty much uninspiring and just deemed as passable. Currently there is a huge number of rock/metal albums being released each and every month and in this economic climate it’s impossible to scratch the surface. I’ve heard a lot more decent stuff recently that will leave 'Eleventh Hour' by the wayside.